Start the new year learning a new skill or perfecting one already in your tool box. This Pin Pillow teaches basic embroidery stitches, including Chain Stitch, Stem Stitch, Colonial Knot, Fly Stitch and Eyelet. Jan will also demo a mitered lace corner and how to put this sweet pillow together. 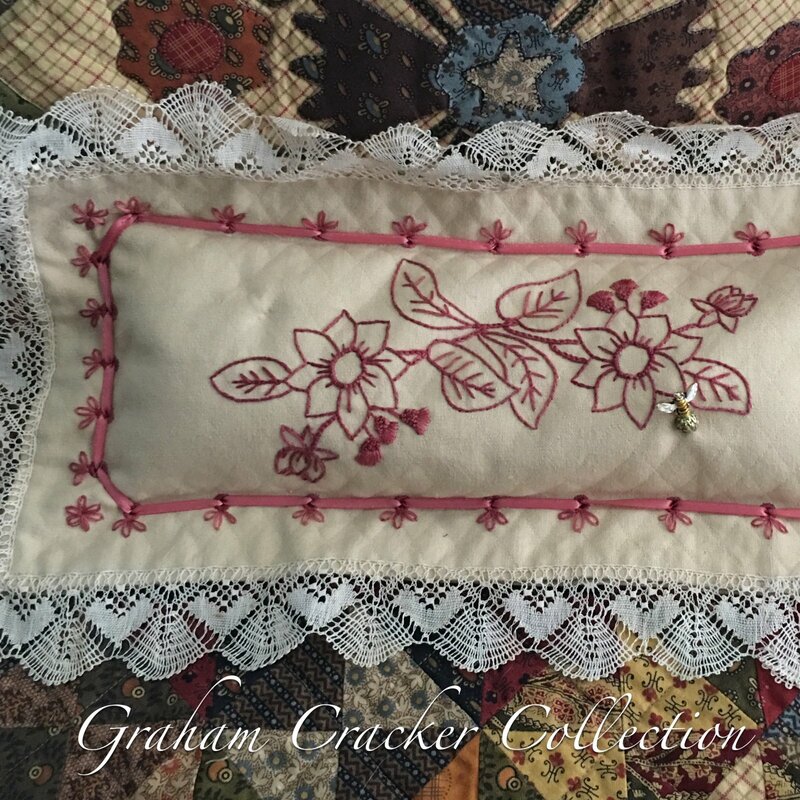 In class, you may learn the stitches on a muslin sampler or stitch the design on your pillow top.